Setting a Type Parameter in a loadable family is easy. Its a bit different than Setting an Instance Parameter in a Loadable family. 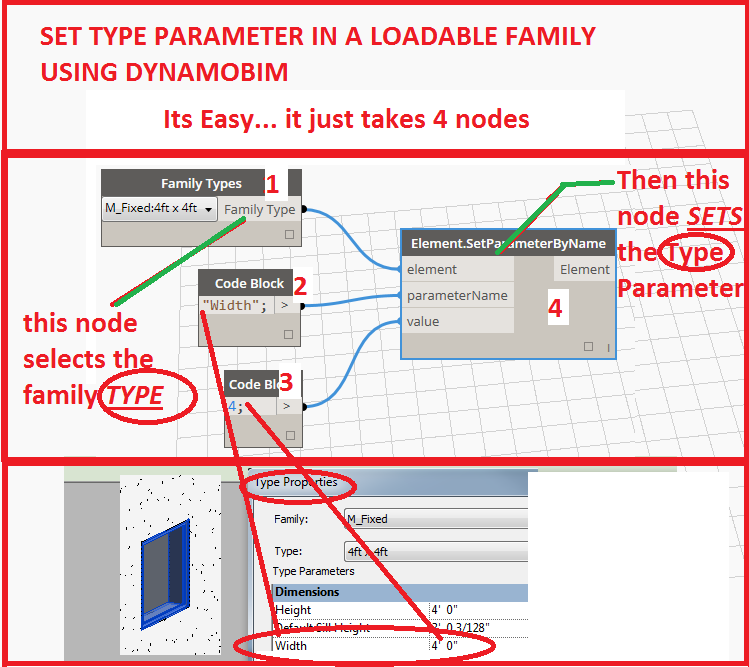 If you are not familiar with how to "GET" a Type parameter in a loadable family see my previous post. The image will summarize this process. Good Luck Getting and Setting Type Parameters for Loadable families. What about System families you ask? Hey Marcello, just discovered your blog. I didn't see a follow up with info on how to set type parameters on System families. Is that still in the pipeline? I'd love to hear your thoughts on how to change the spacing on a curtain wall family in Dynamo.